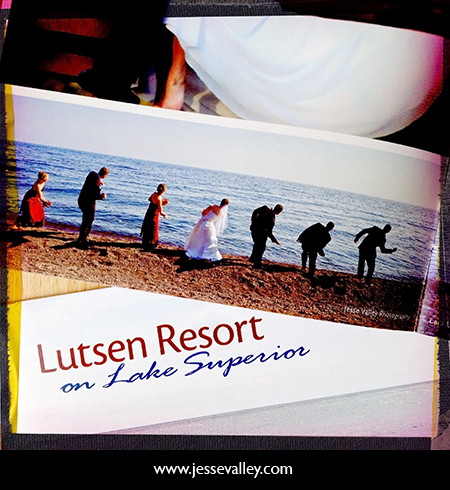 I was recently informed that the following photograph I took at the Lutsen Resort was selected to be displayed in the Superior Ballroom. 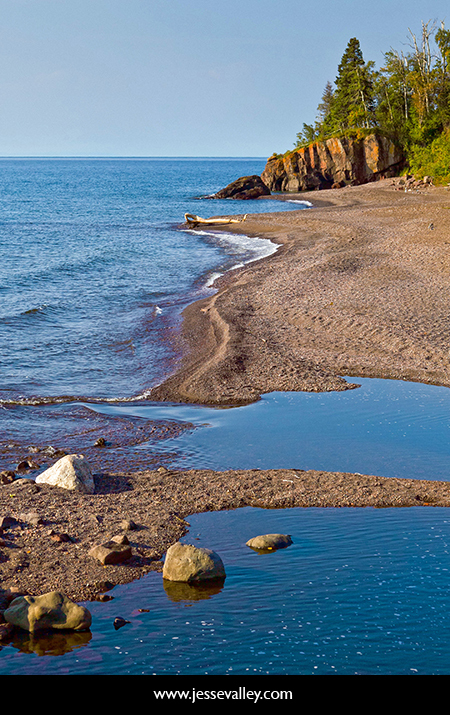 I had submitted it for a contest earlier in the year, and I am excited to see it the next time we visit Minnesota’s North Shore. UPDATE: I also found out that they used a picture of the wedding party skipping rocks that I photographed in their current brochure! Here is a photo of it that I just took with my iPhone. I have done a PhotoBooth before at my old studio (see the pictures here: Part 1 and Part 2), but I had not done one at an actual event yet. Here is a time-lapse video of the PhotoBooth we set up at Sarah and Victor’s wedding using a professional camera and studio lighting. If you are interested in doing a PhotoBooth at your wedding or special event, please give Jesse Valley Photography a call! That’s why it’s so convenient when you can go to one event and accomplish multiple tasks at once, plus it doesn’t hurt to get free Hors D’oeuvres, gift bags and the chance to win prizes and drawings. 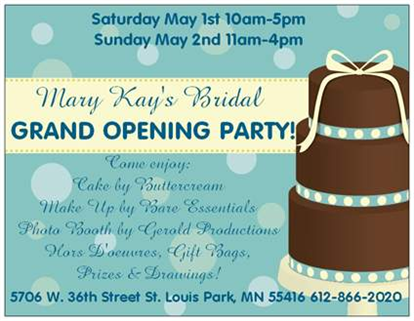 Mary Kay’s Bridal Grand Opening Party is this weekend! Check out their new location and learn about the services of other wedding vendors, including the engagement and wedding photography of Jesse Valley Photography (JVP). As mentioned above, JVP will be there with sample wedding albums and to answer questions about wedding photography. There will also be a drawing for a free engagement session and 11×14 wall portrait ($255 value). Below are a few photo samples. To see more engagement portrait samples, click here. To see more wedding images and get additional wedding info, click here. Winter weddings in Minnesota are fun to photograph. Although it was very cold and the sun sets early in late December, the love between Jodi and Ross was more than enough to warm even the coldest of guests. We had such a great time photographing this wedding, and we wish Jodi and Ross the very best. This was probably the most unique thing that I have photographed at a wedding. The new bride Stacey and her groom Doug water-skied down the Mississippi River in their bridal gown and tux! Although she lost her veil in the water, she managed to keep hold of her bouquet the entire time. This was so much fun, and I would love to photograph more unique weddings such as this. Enjoy! It was a rainy day, but as you can tell from the following pictures, it was a beautiful day for a wedding. We had such a blast with Angela & Dan and their entire wedding party. Even though the weather was not ideal for outside pictures, everyone was willing to head out with umbrellas for them. Many blessings on your new life together!